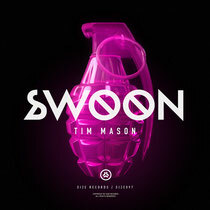 Having broken through with the ‘The Moment’ and its follow up ‘Anima’ on Size in 2011, UK based DJ/producer, Tim Mason, is making his return to the label with new single ‘Swoon’. 2012 was a good year for Tim, touring across the globe including the 74 date ‘Roll Call Tour’, Creamfields, SW4, EDC NY and Vegas, remixing Zedd’s ‘Stars Come Out’ and working on new original productions. ‘Swoon’ is bursting with lush uplifting melodies, driving beats and high-energy climaxes, and should bring more success for Tim. It’s out February 11.